After Edward IV's death, his brother Richard of Gloucester wasted no time finding a way to set himself on the throne. When Edward IV died on April 9th, 1483, his son Edward was twelve and his son Richard was ten. Their father's death made the young Edward the next in line to the throne by right. 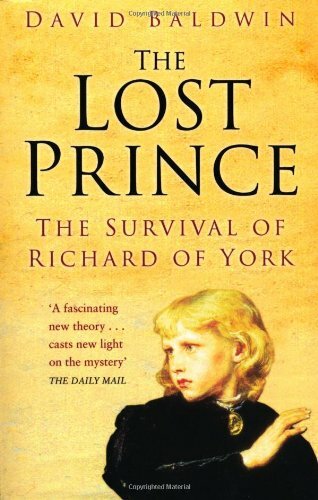 Since he was so young, their uncle Richard of Gloucester was named Protector of King Edward V and Richard. Edward's coronation ceremony was to be held on June 22nd, 1483, however at the time of his father's death he was at Ludlow Castle for education. So thus, he left the castle for the Tower of London, where he was to be crowned accompanied by his half brother from his mother Richard Grey and Lord William Hastings. Unbeknownst to the young king, his uncle the Duke of Gloucester and his co-conspirators where riding forth to intercept the young king and his party. The two forces met at Stony Stratford where William Hastings was accused of conspiring to assassinate the Duke of Gloucester and beheaded for it. His uncle escorted Edward V, who was still under the assumption he was on his way to be crowned. His younger brother Richard, at this time, was taken to Westminster Abbey with his mother. The two brothers would meet at the Tower of London on June 16th, 1483. Richard of Gloucester could have easily slayed the princes and taken the throne by right of conquest, but that would not have made for a very popular king. Instead he used the more cunning means of questioning the legitimacy of the two children. His brother King Edward IV had married his Queen Elizabeth Woodville in secret. Richard argued that before they had married, Edward was engaged to Lady Eleanor Talbot. This engagement would have made Edward IV's marriage illegal, thus making his children illegitimate. On June 25th, 1483, the Parliament concluded that this indeed was true and the princes were not legitimate heirs to the throne. This made Richard of Gloucester the next eligible heir, naming him Richard III. After their uncle took the throne, the two young princes remained in the Tower of London. People reported seeing them less and less over the next few weeks until sometime in July, they just disappeared. However, there are no reports on exactly when they were last seen. It is widely believed they never left that tower and in fact died there. It is not likely the record of the two boys merely slipped through the fingers of history, people at the time did make note of their absence. 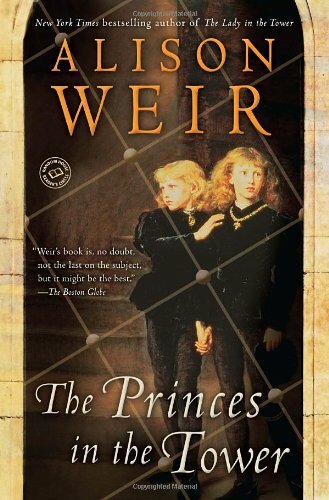 It was extremely likely that the two princes were murdered to secure the throne, but who did it? King Richard III is the prime suspect in this murder mystery. He betrayed his family to wrestle away the throne. If the legitimacy of the two princes could be proved, he would lose it all over again. Shakespeare in his play Richard III certainly believed he was the murderer, however as the bodies have not ever been officially found, there is no proof of this. Most modern historians believe that he indeed did murder his nephews, however. King Richard III was ousted from the throne three years after his coronation by Henry Tudor who would become Henry VII. With Richard III slain, Henry Tudor has just as much cause to murder the two princes as Richard himself did. When Edward IV took the throne, he murdered the previous king Henry VI and his heir Edward, the prince of Wales to secure his power. Henry Tudor was vaguely descended from their bloodline, so perhaps it was some sort of karmic justice that he murdered Edward IV's sons. Doing so would have cemented his position on the throne. James Tyrrell was a knight in the service of King Richard III and his family, the House of York. In 1501, after being arrested for supporting another Yorkist claim to the throne he was sentenced to execution. Before he was executed, he admitted to having murdered the princes in the tower under Richard III's orders. Of course, this confession was coerced under torture and he could not admit where the bodies were. Stating that over the course of time, they had been moved. Henry Stafford, like James Tyrrell, was a servant of Richard III. However, at some point the king and himself had a falling out. This led to Stafford to join the cause of would be Henry VII. He was executed for his betrayal in October 1483. Some believe the falling out between King Richard III and himself was caused by his slaughter of the two princes. However, some believe it was caused due to Richard's poor treatment of him. In the 1980's documentation arose from the College of Arms archive that stated the murder of the two princes was conducted by "the vise of the Duke of Buckingham". Another document in the Portuguese archives stated that "...and after the passing away of king Edward in the year of 83, another one of his brothers, the Duke of Gloucester, had in his power the Prince of Wales and the Duke of York, the young sons of the said king his brother, and turned them to the Duke of Buckingham, under whose custody the said Princes were starved to death." Thomas More wrote heavily on the subject of the princes in the tower. He was the one who recorded James Tyrrell's confession. However, in further works, he wrote that the boys were suffocated with pillows in their beds and buried under some stairs. This supports Tyrrell's confession and would make the writings found in the College of Arms and Portuguese archives about Henry Stafford false. However, it should be noted that Thomas More was a stout Henry Tudor supporter and would later go on to become his Chancellor. So, by making Richard III and his men look worse, it further secured that the people would not support a Yorkist claimant to the throne. In 1674, some workmen discovered a chest containing two child skeletons that had been buried under some stairs at the Tower of London. This matches Thomas More's testimony, however the bodies have never been prove to be that of the princes. They were taken to Westminster Abbey and buried near their family. However, in 1933 the bones were exhumed and examined. Photographs were taken, but since then authorities at Westminster Abbey have forbidden further examination. Speculators should also consider an incident that occurred in 1789. Workmen there were repairing some things in St. George's chapel when they accidentally broke into the vault of Edward IV and his wife Elizabeth Woodville. In an attached chamber, there were two coffins containing two of their children George age two, and Mary, age fourteen. While there were remains in the coffins their bodies were actually found elsewhere in the chapel. Everyone has their opinion on who did it. My personal opinion is that Henry Stafford murdered the children, which led to his falling out with King Richard III. I believe that Thomas More's writings were based on pro-Tudor propaganda to sully the reputation of King Richard III and the House of York. One of my theories is that More or some supporter of Tudor murdered two other boys and buried them under the stairs. William St. John Hope Windsor Castle: An Architectural History. Windsor: Ditchfield and William , 1913. Christopher Barker College of Arms Collection. London: Suffolk Herald, 1514. Private secretary to the Portuguese King Alfonso V Alvaro Lopes de Chaves. Lisboa: Imprensa Nacional - Casa da Moeda, 1983.